Bookings are required 1-14 days prior to your desired tour date. Due to the nature of the tour, weather conditions may change itinerary and affect wildlife spotting. Tours are available seven days, subject to availability and minimum numbers. Closed Days Christmas Day, Boxing Day, New Years Day, Good Friday and ANZAC Day. Tours subject to availability and minimum numbers. 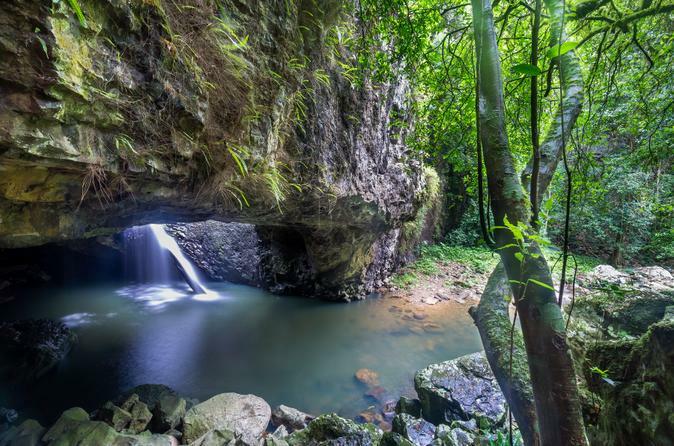 Take in the highlights of all that the World Heritage Rainforests of Springbrook and Natural Bridge have to offer on a small group tour: Purling Brook falls, Natural Bridge walk, afternoon refreshments and tour commentary in the luxury of our 16 seater Mercedes Vehicles. Afternoon refreshments: freshly baked scones with jam and cream. Tea, coffee or cold drink. This tour goes for a total of five hours. 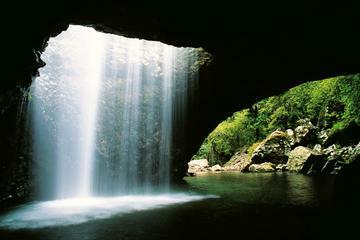 It also includes hotel pick up and drop off from central Gold Coast hotels (Surfers Paradise, Broadbeach, Main Beach). Please call ahead to organise the pickup (pickups are between 11.50am-12.30pm depending on your hotel location). The alternative pick up locations are Nerang Train Station and Australia Fair Shopping Centre.